It always amazes me that whenever I walk into a polling station it feels like I’m time traveling back into the 1970s when I was first able to cast a ballot in an election. When it comes to voting in the United States, apparently nothing has changed in the last 40 years…not even the machines…or the tables or chairs or buildings or the people inside. They too all seem to be about 40 years older than they were when I first encountered them back in the day. What gives? How come everything else in the world has become modernized and electrified and computerized to the point where it can be accessed with a hand held device and the point of a finger tip, but not voting. And now in certain states they are making it even harder for people to get to the polling stations, requiring them to wait on longer lines and making it more difficult for people to prove who they are…in person! And all the while still asking us to push a button on an old machine, or punch a card, or mark a paper ballot and drop it in a box…and all because there supposedly just isn’t any other safe way to do it… for after all what could be a safer and more accurate way to count votes in an election than by having people count paper ballots by hand or reading numbers from machines and then adding them up together and then handing them over to other people who continue to do the same. Did you ever play telephone? It seems to me that that is how archaic our voting system is. Are we living in the 21st century or am I just dreaming? Is this the age of the iPad and smart phone and Ebay and Etrade and E banking and computerized, drone warfare? Or isn’t it? Can we at least start to modernize our voting system in what most Americans seem to agree is the greatest democracy in the free world so that each and every one of our citizens, of voting age, can vote in a timely, safe, quick and easy manner? I know it can be done because it is the 21st century and voting should be convenient, computerized, simple and secure…just like on-line shopping for crying out loud. Amazingly, The United States, is one of those 11 democracies that does not guarantee its citizens the right to vote within its own constitution. When the country was founded, the U.S. Constitution did not define who could vote and ironically the United States, while always helping and encouraging new democracies to include the guaranteed right to vote for all citizens in their constitutions, has never adopted an amendment that afforded such a right to its own. Yet here in the United States Over 30 states recently passed new and more prohibitive voter ID laws in efforts to supposedly thwart voter ID fraud when there have only been 31 recorded incidents of identity impersonation since 2000… out of over 1 billion votes cast! Fox News just recently reported that Colorado had just passed a law allowing voters to print ballots on their own home printers so that they could then vote as many times as they would like, making voter fraud a certainty in the Mountain State. Can you believe it? Well, you might but you shouldn’t because it was a completely false and erroneous story that Fox News made up and had Meagan Kelly deliver with a straight face! I kid you not! You can Google it! So what’s the deal? Why are so many political forces trying to scare, deceive and suppress the American electorate? And Why doesn’t the United States pass a constitutional amendment simply and explicitly guaranteeing all of its citizens the right to vote? Was this a right that our forefathers overlooked or was there method in their mistake by accidentally on purpose creating an escape clause that might come in handy someday when say a Congressman’s approval rate was at 9 percent while at the same time their reelection rate was over 90 percent? How are those statistics in any way shape or form indicative of a democratic and representative form of government for the “Greatest democracy the world has ever seen”? So get out and vote! Vote early and…don’t go home until you get to cast your ballot. Punch that chad! Push that chit! Mark that space! Pull that lever! Circle that name! And vote for people who want to live and work in the 21st century with the rest of us and who want to help us modernize our nation and join the other 107 “real electoral democracies” in our world. If cancer were contagious, like Ebola, Would you still wear pink? 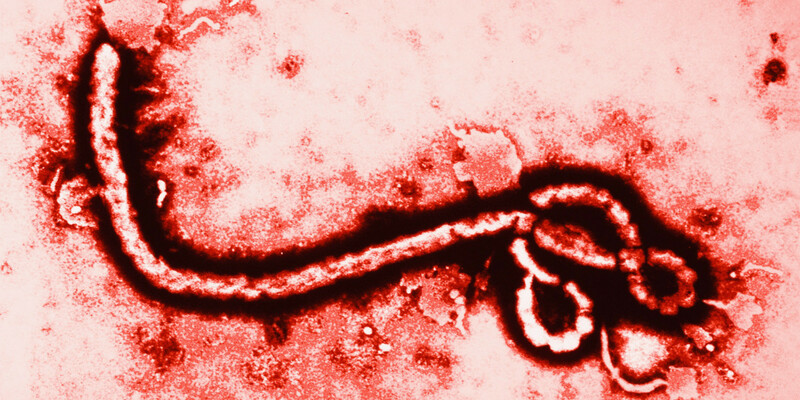 It seems as though we are in the midst of an Ebola crisis in our country and politicians and news outlets are doing their best to fan the flames of panic and paranoia with so far 3…count them…3 Americans having contracted the disease…out of over 300 million potential customers. 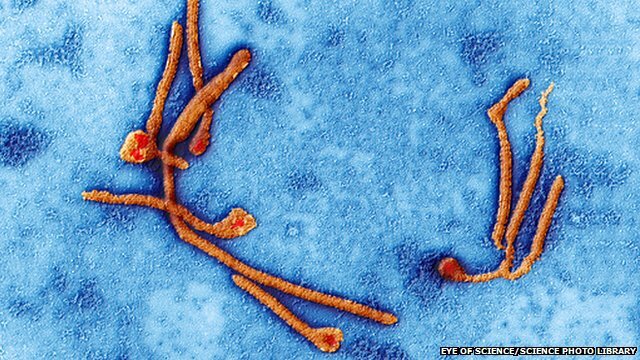 Many are calling for, nay, demanding quarantines and flight restrictions and the possibility of blockading entire countries…and let’s not forget our porous southern borders where hordes of illegals eagerly await their Ebola infected entries. America, or rather, the USA must be protected at all costs! But what about the flu? It is estimated that in the United States, each year on average 5% to 20% of the population gets the flu and more than 200,000 people are hospitalized. Estimates of flu-associated deaths in the United States range from a low of about 3,000 to a high of about 49,000 people! That’s nothing to sneeze at. What about AIDS? The CDC estimates that 1,144,500 persons aged 13 years and older in the USA are living with HIV infection, including 180,900 (15.8%) who are unaware of their infection with about 50,000 new HIV infections per year! The deaths of persons with an AIDS diagnosis can be due to any cause—that is, the death may or may not be related to AIDS. That sounds pretty ominous to me. How about cars? Every year there are 30-35,000 automobile deaths in the United States, not to mention the millions of car crashes and the billions of dollars in damages they cause. Cars are everywhere and I bet you’ve been in at least one car accident already…or two? What about guns? In 2010, guns took the lives of 31,076 Americans in homicides, suicides and unintentional shootings. In fact each and every year we can expect just about that same number of gun related deaths in the USA. That’s more than 85 deaths each day and more than three deaths every hour. They say that Ebola kills about 50% of its victims, which makes it very deadly indeed, but I think that the mortality rate for gunshot wounds is pretty close…don’t you? And we have 300 million guns in the USA and some of those owners are nuts! We don’t consider quarantining any of those citizens…And yet here we are…a first world country with a third world fear…of a disease that hasn’t even come close to killing Americans like the Flu, AIDS, automobiles and guns can…and I haven’t even mentioned carcinogens, smoking, toxic waste, fracking and 1st world parents who won’t vaccinate their kids! If you live in one of the other 27 states? Well, Perhaps it’s time to join these 23 civilized American States and change your gun laws? I mean Really…this is the United States of America! 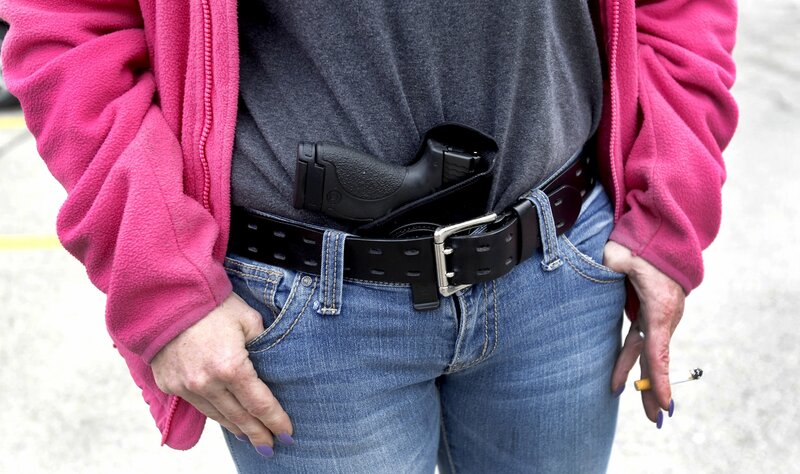 There’s no need to over react…just get your guns…and get your “pink” on. Well, the gun advocates were right! If you allow people to have more guns and more freedom to use them in public places, the world will become a safer place. Case in point: Prominent feminist video game critic Anita Sarkeesian, was planning on appearing at a speaking engagement at Utah State University last Wednesday to discuss the portrayal of women in video games, but the University received an anonymous Email that threatened “The deadliest school shooting in American History” if her appearance and speech were not canceled. Ms. Sarkeesian however had decided to go ahead with her presentation because she always receives similar threats whenever she plans a speaking engagement… that is until she was informed by Utah University’s campus security that Utah’s concealed carry laws meant it would be possible for guns to be present at the University’s speaking event. Utah has an Open Carry law and permits the concealed carry of loaded weapons with a permit and in Utah a person may carry firearms into banks, bars, public universities, and state parks… and with a permit, a person may also carry those weapons into public schools…but Utah does not require concealed carry permit holders to notify police officers of their permit or possession of firearms…even when stopped by police officers. So how would anyone know if there were a person or persons in the audience with concealed weapons who might be potential mass murders as opposed to law abiding avengers in waiting? In light of that simple dilemma, Ms. Sarkeesian decided not to try and find out and so she canceled her speaking engagement and everyone stayed home…where they were safe and at least knew who had the guns. Sounds like a perfect solution wouldn’t you say? Save Money and Live Better? The Waltons of WalMart fame and not the ones of television fame, are among the richest Americans in the United States, if not the richest. They employ over 1.4 million Americans (that’s 1% of the American work force!) who work for them in their more than 4,100 stores nation wide. Their average employee earns $11.43 per hour and most employees earn less than $25,000 per year. As a result of Walmarts low average employee wage many of their workers are forced to rely on taxpayer-funded programs through public assistance costs, including food stamps, Medicaid and subsidized housing. These expenses cost the taxpayers an estimated 6 billion dollars each year even though Walmart earns a yearly profit upwards of 15 billion dollars. In fact a Walmart spokesperson even told analysts last year that Walmart has even captured 18 percent of the SNAP market (food stamps) and that the company accounted for $13.5 billion out of $76 billion in food stamp sales in 2013. That’s 18% of the subsidy that we the taxpayers pay because companies like Walmart under pay their workers. Walmart just can’t lose! And to be fair to Walmart, many other large U.S. retailers have a similar percentage of their workers who receive Medicaid and Food stamps etc. at taxpayer expense…and at the same time these giant corporations and retailers are also taking billions and billions of dollars a year in tax breaks that also subsidize their low-wage businesses – and add to their profits…not to mention special trusts and tax loop holes that save them even more billions of dollars in taxes that they would otherwise have to pay to the U.S. government. But can you blame these rich companies and their owners for the billions of dollars they pass on to the taxpayers? Everything they do is legal and in accordance with federal laws, rules and regulations as set forth by the United States Congress. Of course they could very simply raise their employee wages and help bring those employees out of poverty and pay more taxes on their billions of dollars of annual income… all in an effort to be more… Patriotic? American? Fair? Philanthropic? Christian?…but really, why should they? Walmart’s motto is “Save money. Live Better.” And even though most Walmart workers probably shop there too, I’m willing to bet that in the long run they are not very successful at saving any money at all… or live better for that matter. Perhaps Walmart’s motto is a bit tongue in cheek as in: Walmart saves money and the Walton’s live better. If a Walmart employee, (or any other employee of a similar retail or fast food chain) after a long hard day, or week, or month, or lifetime, of work, walks into a grocery store and purchases a T-Bone steak and large bottle of orange soda and uses their government issued food stamps to pay for it…Do you have a problem with that? I don’t, because a steak and a nice sugary soda might just be all of the “better living” they’re going to get… but many people do have a problem with that. And when they cast their votes this November it will be for a politician who is promising to cut food stamps and limit the freedom of choice of those who need to spend them, while also promising to make it easier for companies like Walmart to increase their profits through new tax cuts and other new tax “freedoms”. Is that really the way for America and Americans to Save money and live better? Well, I honestly don’t know where to begin…The television set is positively aglow with the Ebola virus: the wheres, the hows and the whyfors. It’s here. It’s on the move. Is it an epidemic? A pandemic? Can it be stopped? who’s to blame? How can we stop it? Can it be stopped?… And of course don’t forget to check out your favorite networks’ new fall lineups! Let’s not get too crazy, I guess. Over at MSNBC there seems to be genuine concern over the growing crisis and their guests seem to be pointing fingers at the fact that it’s a very big world out there filled with lots of people on the go, which makes it quite difficult to keep them from going where they want to. And there’s the question of our country’s lack of investment and interest in our nation’s infrastructure over the last 2 decades or so. Even though corporations are still making billions of dollars and especially so in the healthcare industries, not a lot of that money is trickling down to the first response workers when it comes to equipment, training and proper regulations and protocols…perhaps you have even felt or experienced this trend as a worker in your place of business, wherever and whatever that may be. It seems that Money has a habit of rising to the top and then staying there these days. Finally Bill O’ Reilly and resident Fox comedian, (er…expert comedian) Dennis Miller summed it all up with a few jokes and laughs about how sad things have gotten in America and even though it’s too late to do anything about it and we’re all gonna die, they wanted us to know that later this month they’ll be appearing together in South Carolina where I guess their comedy routine will be appearing on the road…no doubt they’ll be making lots of money and converting it to gold for their post apocalyptic shopping spree. I just sincerely hope that somewhere in America tonight there are still serious people doing serious work, who are non-partisan, earnest and industrious and seriously interested in doing their jobs because it is the right thing to do and not because there’s a bucket of money or a re-election campaign to win. Of course there is. There has to be, right? We haven’t jumped that shark yet…have we? If you watch a lot of television like I do (I admit it) then you may have noticed what I have noticed. In all police dramas, police officers always carry handguns and the bad guys that they face almost always carry machine guns of one variety or another. But no matter how many rounds the bad guys fire, they never hit any policemen. And when the police officer finally returns fire he/she always hits his target. Now, in all science fiction shows the good guys (usually military) almost always carry machine guns (of one type or another) while defending the planet Earth or when traveling to distant worlds (also to defend planet Earth). And the Aliens always use strange and deadly laser weapons of one kind or another. But…no matter how many times those aliens use their powerfully advanced laser weapons they never hit any Earthlings (besides hitting everything else). And when the humans return fire with their machine guns…well, it’s always bad news for the aliens. And no matter what alien race we meet and no matter how advanced their alien species may be, those aliens have never ever seen a machine gun nor developed any defense against them. So handgun defeats machine gun defeats alien, ergo: any policeman could defeat any alien! According to the United Nations the world employs about 300 police officers for every 100 thousand citizens so that means we have about 21 million law enforcement officers in the world with guns. This is what 50+ years of watching television has taught me: the planet Earth is safe from aliens!